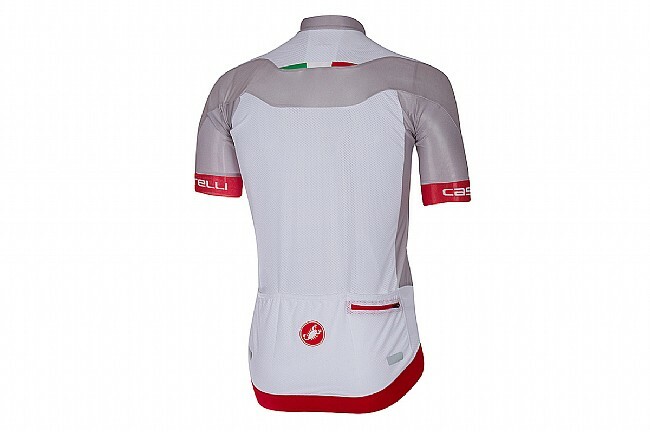 The Men's Volata 2 Jersey takes cues from Castelli's extreme Aero Race jersey but opens up the fit a little for a high-performance jersey that can be worn every day. The body is made with lightweight Velocity Dry fabric, and stretch mesh side and shoulder panels make this jersey as breathable as it is fast. Small details like the low-cut collar, the raw-cut edges on the armbands, and a jacquard elastic waistband make big differences in added comfort on the road. 3 rear jersey pockets feature reflective tabs and an additional zippered accessory pocket for a phone or wallet. Claimed weight is 151 g (size large). 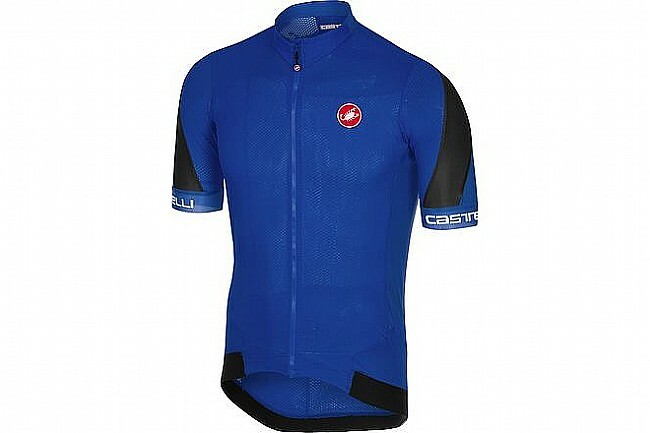 i wouldnt call all castelli kit durable but this one fit the bill. Its held up really well and with 4000 plus miles on it, its still like new. Very comfy and looks good too. Im 180 lbs and XL is just right giving a good snug, comfortable sport fit. I weigh 180 lbs and had to go to an XXLG so that should give you an idea of how much you need to oversize when ordering. Ordered XL, which fits great. I normally wear L in other brands. Lightweight jersey with great materials and finish. Typical Castilli race fit so order 1 or 2 sizes up. The sleeves are a little longer than I prefer and the band on the end is a little tight, and I don't have big arms by any means. Zipper moves pretty easily.